What type of Diet diabetes people need to choose? Diabetes mellitus (DM) is a metabolic disorder where people face abnormal glucose or sugar levels in the body. When glucose levels are high in body, then it is called as Hyperglycemias and when glucose or sugar levels are low, then it is called Hypoglycaemia. There are three main types of diabetes namely Type-1 Diabetes, Type-2 diabetes and Gestational diabetes. Diet or eating habits plays crucial role controlling and increasing the glucose levels inside the body. Diet is a crucial tool to control sugar levels, weight management and keeps you fit. Diabetic people should have low glycemic index foods, low carbohydrates, high lean protein and good fats in their diet. Here is the list of foods for diabetic people that are beneficial and controls diabetes. Include fresh veggies in diet- these improve taste, colour and texture of the food. Veggies can be taken in the form of raw, cooked or roasted. Vegetables like mushrooms, onion, tomato,egg plant and zucchini and green vegetables like kale, spinach, chard and so on are delicious as well as healthy too. Include fresh fruits- include fruits like apples, avocado, melon, berries and others in diet as they contain low calories and carbohydrates, high fibre and also slow down the digestion and controls sugar levels. Include whole grains- these are high in fibre with low carbohydrates. Foods like lentils, dried beans, nuts, seeds, brown rice, oatmeal, millet and many others are also beneficial as they are high in fibre, slows digestive system and gives full feeling. Include fat- little fat is also necessary for diabetic people, foods like olive oil, salmon fish, avocado and others should be included in diet. Fats help to slow down the absorption of carbohydrates. Include some protein food- protein source foods like nuts, peas, beans, tofu, peanut butter, yogurt, eggs, lean meat, cottage cheese and others should be included in diet as they are highly beneficial. What are foods to avoid? Sugary soft drinks, sodas, energy drinks, coffee and tea with sugar and many others. Dairy products like whole milk, regular yogurt, ice cream and regular cottage cheese. High protein food like fried meat, poultry with skin, pork bacon, red meat as they increase cholesterol levels. Canned fruits and vegetables, vegetables cooked with butter and cheese and regular fruit punch should be avoided. Does Homeopathy works on Diabetes? Homeopathy treatment for diabetes works very effectively in controlling sugar levels in the body. Diabetes treatment in homeopathy aims at overall health improvement. Homeopathy treatment for diabetes uses natural remedies which are safe and suitable to all age groups. Diabetes treatment in homeopathy is prescribed based on the symptoms, severity of the conditions, family history and also on theory of individualization. Homeopathy treatment for diabetes aims to improve immunity in order to avoid other health illnesses. 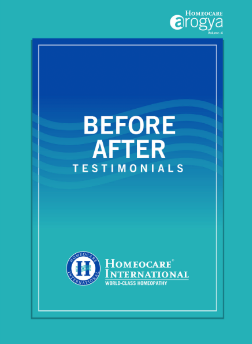 Homeopathic diabetes treatment is free from side effects. 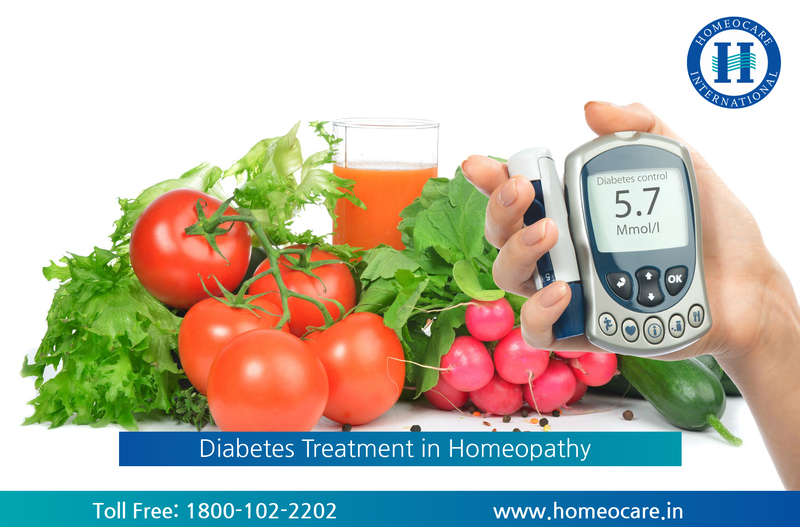 Diabetes treatment in homeopathy is a natural way of controlling glucose levels. Homeopathy has huge number of remedies for diabetes treatment. Diabetes treatment in homeopathy is safe and works by regularising insulin secretion and usage.